The Ukrainian Canadian Congress is pleased to announce that the XXIII Triennial Congress of Ukrainian Canadians ‘Honouring the Past – Inspiring the Future’ will take place in Edmonton, Alberta from November 5 – 7, 2010. This will be the first Congress of UCC to take place in Edmonton and the second in 70 years taking place outside of Winnipeg. Congress XXIII will also commemorate the 70th Anniversary of the Ukrainian Canadian Congress and the 120th Anniversary of Ukrainians in Canada. The organizers of Congress XXIII, UCC and the Ukrainian Canadian Congress Alberta Provincial Council (UCC-APC) have planned three full days for delegates and participants to connect with members of the community from across the country, have significant discussions for the future of UCC, confirm goals for the next 3 years and celebrate our culture. Very importantly, Congress XXIII will also select the leadership for UCC for the next three years – a team who will guide this community towards further growth and development of the Ukrainian Canadian community. This event is open to any and all interested individuals. Anyone active in the Ukrainian Canadian community or someone who wants to ensure your voice is heard for future planning and direction of our organized community and all current community leaders, executive members and directors of community organizations should be here! What the Ukrainian Canadian Community decides to focus on for the next 3 years, our relationship with today’s Ukraine and what our priority issues should be will be decided based on your input. Registration for Congress XXIII is open and you can do so on this website today. Or print off th registration form and mail it to our Edmonton office. Register by September 30, 2010 and receive reduced rates. Information about the host hotel- The Westin – and registrations for rooms is also provided on this site. 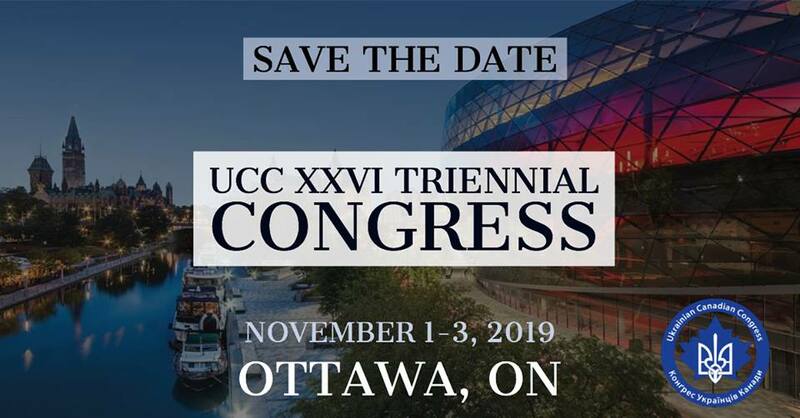 While UCC looks back on the past 70 years of community development and leadership for the Ukrainian Community in Canada, the XXIII Triennial Congress is all about moving forward. It will be about inspiring the community leaders and volunteers of today and tomorrow to be more informed, better prepared, and confident in their abilities to be effective, knowledgeable leaders. There are educational sessions as well as more specific discussion on language retention, working with media and engaging new people among many other topics. New to this congress is a specific Youth track for our younger member organizations. As always, there will be plenty of opportunity to network with delegates from across the country who face the same challenges and share the same successes as you and your organization. Please join us in Edmonton November 5 – 7, 2010 as we honour our past and inspire you to be the best for the future of our community in Canada.